Asphalt shingles are one of the most popular roofing products on the market. Known for their longevity, durability and wide array of style and color options, asphalt shingles are an excellent economic alternative to other roofing products. With standard to luxury options there is an affordable option for every budget. Additionally, they are easy to install and repair and hold up well in our North Carolina climate. Proper attic ventilation and installation can help maximize the lifespan of asphalt shingles. CertainTeed, GAF and Owen’s Corning are just a few of the top asphalt shingle manufacturers in the industry and Elite Roofing LLC is a certified installer of all asphalt shingle manufacturers. 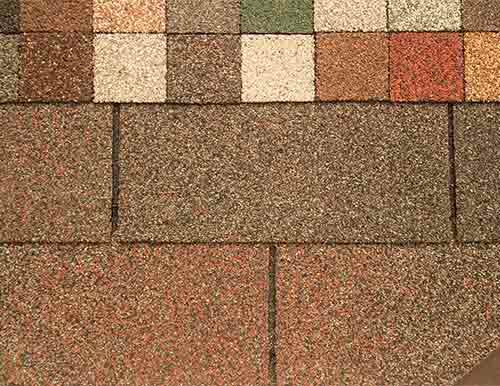 The 3 Tab shingle is the original and most basic asphalt roofing shingle available. These shingles are single-layered with a very flat appearance. They are the lightest weight and most economical shingle on the market. Averages a 15-20 yr lifespan. Popular color selections. Architectural shingles are the predominant roofing shingle style installed in North America and used as a standard by most builders. 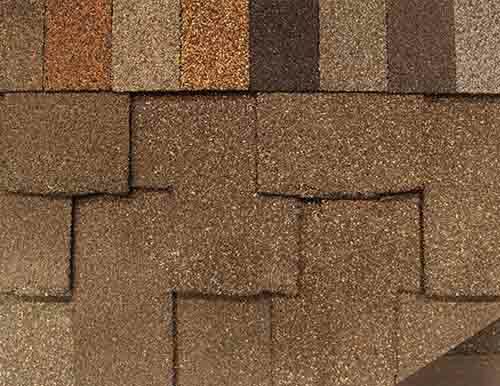 These shingles are laminated and provided a thicker, richer appearance. Average lifespan is predominantly 50 yrs. Popular color selections. 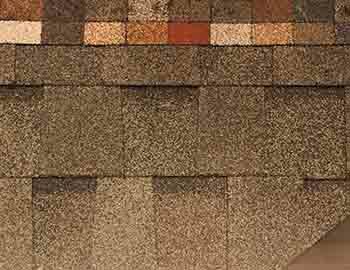 Architecturally stylish but practically priced, these high definition shingles use color blends to add dimension and enhance shadow effect for a more genuine wood-shake look and dramatic appearance. Average lifespan is predominantly 50 yrs. Popular color selections. Luxury shingles are a higher-end asphalt shingle with a design mimicking “old world” roofing shingles like natural slate or cedar shakes. They provide enhanced aesthetic appeal as well as other important functional improvements that can extend the life of the roofing system. Average lifespan is predominantly 50 yrs. Popular color selections. 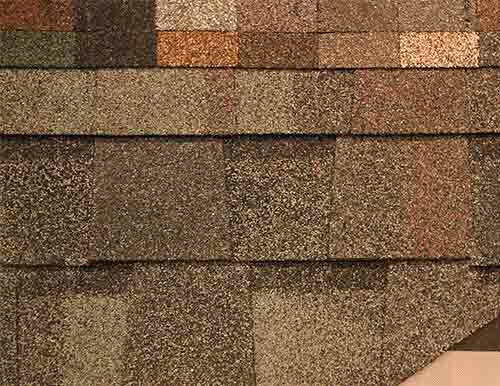 To speak to a professional about asphalt shingles we invite you to come visit our showroom where we have product samples and a complete list of all color options, styles and pricing information available. Our showroom is located at 301 Fields Drive, Aberdeen, NC 28315. Follow us and share your Elite Roofing LLC experience! Copyright © 2017 Elite Roofing LLC. All rights reserved.